Horticulture and tourism are two sectors with tremendous scope for sustainable development of Nepal. 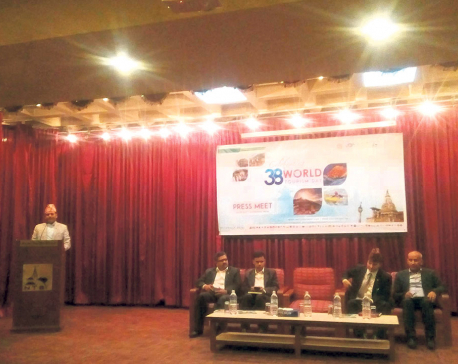 Tourism has already taken the shape of an industry, contributing about 4.3 percent to the national GDP and employing 3.5 percent of Nepal’s total employment. Due to her natural beauty, many world-famous snow peaks, and various cultural and religious specialties, Nepal has become a center of attraction for hundreds of thousands of tourists, from all over the globe, every year. 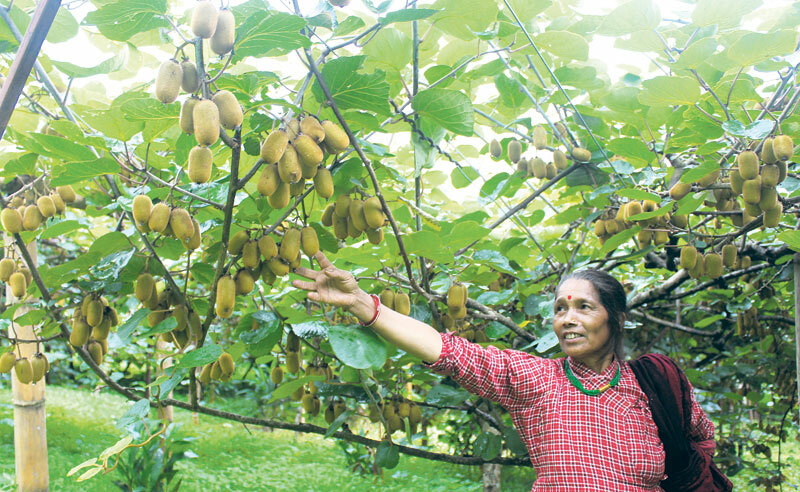 On horticulture, even though this industry is still in its infancy in Nepal, it is growing fast and today contributes over 7 percent to the national GDP. If these two sectors, tourism and horticulture, can be interlinked, the country stands to make tremendous and sustainable economic progress. In fact, I would argue that horticulture and tourism can be the saviors of Nepali economy in years to come. Horticulture has four types of impact on tourism: economic, cultural, environmental and social. Among these, the economic impact is the most visible. If tourism of any place is supported by local horticulture, there can be fast changes in income and employment opportunities for the locals. Horticultural crops, especially fruit trees and ornamental plants of hilly regions, are environment friendly and two-thirds area of Nepal is comprised of hilly regions. Gardens and landscapes, which are also domains of horticulture, can reflect culture of the place if it’s designed properly. Beautiful gardens and landscapes also attract more tourists. Integrating horticulture with tourism can provide local communities many benefits like creation of new jobs, development of new markets for local products, increased land productivity, creation of new horticulture-based industries, establishment of new links between urban communities and rural folks and, thereby, improving the livelihood of local communities. More and more countries are integrating horticulture with tourism around the world. Greece, Poland and China are among the lead practitioners of such integrated models. When people start linking travel to a particular place with its products and services, their production becomes an economic activity. Gardens are the most attractive places and many tourists like to visit local gardens. Therefore, there should be at least one attractive garden with local fauna and flora in every city of touristic importance in Nepal. But important tourist areas of Nepal like Kathmandu and Pokhara lack such well-maintained gardens. Many tourists also like to harvest fresh fruits and enjoy eating them fresh off the orchard. An opportunity to stay overnight in a horticulture farm, enjoying fresh products, is something a lot of tourists will relish. We can develop horticulture farms in well-established trekking routes such as Kathmandu-Namche, Kathmandu-Helumbu, Kathmandu-Sauraha and Pokhara-Jomsom. In Mustang district, some private horticulture farms have long benefitted from such practices economically. If any entrepreneur wants to establish a horticulture farm along a popular tourist route, the government should encourage such efforts through supportive policies and other help. Natural beauty of Nepal has been destroyed due to unplanned settlements along our highways. Conservation of natural forests in these areas is the first step to beautify such highways. The second step is to develop landscapes at strategic points along the highways. Development of resorts along the highways and in the vicinity of cities is an encouraging initiative. If these resorts are decorated with gardens and landscapes using indigenous fruits, flowering plants and grasses, they will be places of attraction for all kind of tourists. Further, plantation of fruit trees and avenue plants on both sides of the roads not only beautifies our highways, but also provides additional income to our farmers. If fresh fruits and other value-added horticultural products, such as fruit juices, jam, jelly, dry fruits, cider and fruit brandy are made available along highways and trekking routes, not only will tourists be happy to buy local products, but local farmers also benefit through increased employment opportunities. Let us take the example of Manakamana of Gorkha district and Marpha of Mustang district. The seasonal oranges of Manakamana reach our homes through such touristic routes. In Marpha, almost all Thakali houses have accommodation facilities for tourists and a variety of local horticultural products in their shelves. In fact, horticulture and tourism are so closely intertwined sustainable development of one sector is not possible without the development of the other. Especially horticulture helps promote rural tourism through local people’s participation. Realizing this, governments of some Least Developed Countries (LDCs) are integrating horticulture into the tourism supply chain. This helps generate incomes and provides employment to all stakeholders involved in the value chain. 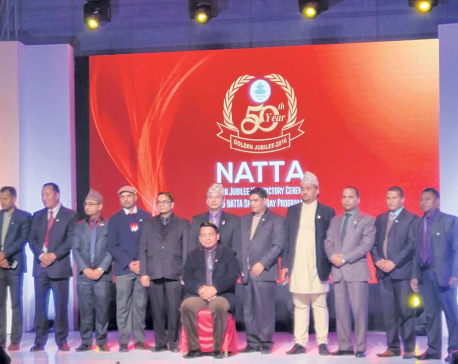 However, this type of development model is only possible through good coordination between the Ministry of Tourism and the Ministry of Agriculture Development, which are currently working in isolation in Nepal. Quality, consistency and competitive prices are keys to successful horti-tourism. Experiences of other countries suggest a public private partnership (PPP) model can help meet these requirements and hence to overcome issues related to seasonality, continuity and quality. Nepal has many such potential tourist spots. In the end, it can be said that in order to lift people out of poverty, the linkages between horticulture and tourism need to be boosted.